Visit London in the right way! Get the Explorer Pass and discover the capital saving time and money! Are you looking for the best way to visit London? You should! London is the largest city in Europe, a huge metropolis where it's very easy to get lost or to spend money in an erratic and inefficiently way. Take the London Explorer Pass and visit the city like a king! You can visit attraction for free, saving time and money and roam around the city without problems thanks to our Sightseeing Map on the Mobile app! Depending on which you choose, you can select 3,4, 5 or 7 attractions to visit FOR FREE from a pool of over 20 attractions. Which attractions are available? The best ones! This way you will save up 35% on the full ticket prices and you will enjoy some privileges like skipping the long lines in front of the most popular attractions! And it's not over yet! Downloading our London Explorer Pass App, we will give you an exclusive Sightseeing Map you can use on your digital device to explore the city without getting lost! What are you waiting for? London is too big to visit it randomly! Take the London Explorer Pass and save time and money! You must exchange your voucher for the pass and a free London map. Photo ID in the name on the voucher will be asked for on exchange. Pass is valid for 30 days from 1st activation. You can exchange your voucher from Monday to Sunday 10:00hrs - 16:30hrs. Closed 25 and 26 December and 01 January . 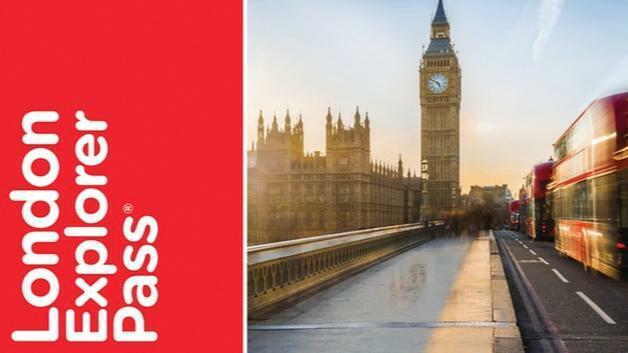 -Free entry to your choice of over 20 sites – including the London Eye, Tower Bridge Experience, Madame Tussauds, Westminster Abbey, Kensington Palace, Churchill War Rooms, Cutty Sark, Hampton Court Palace and many more.